Powerful 3,100 lumens colour light output with 3LCD BrightEraâ„¢ panel technology ensures finely detailed WXGA resolution images that are always seen clearly, even in brightly-lit rooms. 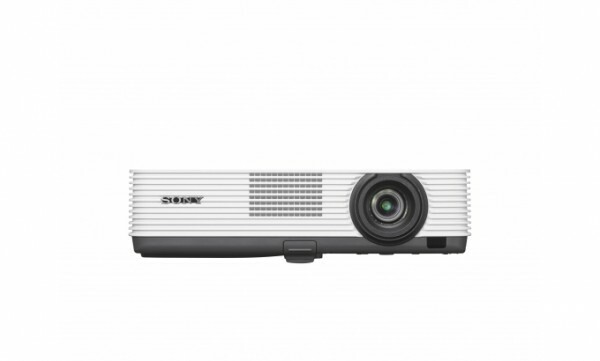 The projectorâ€™s high light output ensures that presentations are seen clearly in any classroom or meeting room. The efficient 3LCD panel system is enhanced by advanced BrightEraâ„¢ technology by Sony. Youâ€™ll see the difference with impressively consistent, high resolution images and excellent reliability. There's a choice of picture modes to fine-tune your image with any kind of content - including Vivid mode for brighter-looking pictures that really stand out with more powerful, high-impact colour. Auto Start detects signals from a connected HDMI or VGA source, turning on the projector so you're all ready to start presenting. The energy-efficient lamp driver contributes to lower operating costs and an exceptional lamp replacement interval of up to 10,000 hours (in Low brightness mode). Prevent unwanted changes to projector settings.